According to Oludayo Tade, Nigeria is securely insecure with killings here and there and yet the Buhari government continues with the propaganda of "technical decimation" of Boko Haram while technically empowering killer herdsmen. The catastrophic opening of the year, 2018, with wanton killings of over 70 persons in well-coordinated attacks in Benue State by the perennial Fulani herdsmen killer squad has called to question the sloppiness of Nigeria’s security architecture and the look-away attitude of the executive. It shows on the one hand, the powerlessness of farming communities and impending food insecurity, and on the other hand, the growing audacity of the marauders and an impending implosion it foregrounds. But do those being killed have a right to life guaranteed under the Nigerian constitution? Did President Muhammadu Buhari ever promise Nigerians that they would be proud of their country when he assumed power? I hasten to conclude from this opening that the lives of ordinary Nigerians mean nothing to the ruling class. And it is sad that the lives of those who laid the golden egg of Buhari’s presidential ascendancy have become worthless and sacrificed for political exigency and inaction. Interestingly, if we dare to ask questions, we are labelled impatient cohorts who want an Eldorado just within a few years of Buhari’s Presidency. This resonates in the President’s New Year speech, about the same time people were being massacred in Benue State, when he stated: “We Nigerians can be very impatient and want to improve our conditions faster than may be possible considering our resources and capabilities…When all the aggregates of nationwide opinions are considered, my firm view is that our problems are more to do with process than structure”. Staying with process is vital as it reveals what the President is doing to make the structure enduring. The big question is, how impatient can we be said to have been when we look at health, economy, education and security? We live in two worlds in Nigeria. There are things designed for the rich and the poor. One of those is the health care system. President Buhari has continued to benefit from the sound health infrastructure in the United Kingdom yet replicating such has yet to be considered for the benefit of “ordinary” Nigerians. We have lost count of those who died of wrong diagnoses in our so-called hospitals that the ruling elite during inauguration will call “ultra-modern health facilities” but wait till their families experience fever, they set out for London. Or, is it the brain drain occasioned by the lacklustre body language of the handlers in the health ministry? Recently, the President’s son, Yusuf, while enjoying the luxury of his father’s opulent office rode a bike on a smooth-stretch of road but crashed along the line. He was hospitalised and enjoyed in a private medical facility when there are public facilities of “world class standards” provided by his father in Abuja and all over the country. Hypocritical governors and their cronies in lawmaking chambers thronged the hospital to wish him well. This is not bad though. However, they have yet to find the same candour to visit the decimated lands and farming communities in Benue to wish them well or even ask for prayers for them. While on sick bed, Yusuf got fortified with operatives of the DSS, army, and police while the farming communities in Benue in need of protection don’t have. Such is life. But is it too much to demand the same health care services being enjoyed by the President and his family? 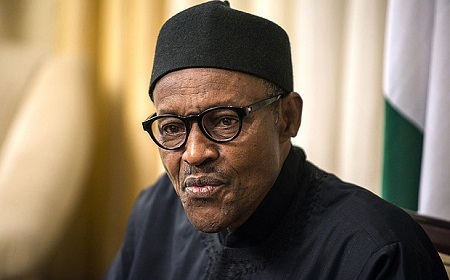 Mr President’s poor people bear all the pains in Nigeria…when will it be our turn? Nigeria is securely insecure with killings here and there and yet the Buhari government continues with the propaganda of “technical decimation” of Boko Haram while technically empowering killer herdsmen. Where life matters, a single death is a great loss. Such is the concern of the UK and the USA who alert their citizens in Nigeria to impending terror attacks. In our own republic, security of lives and properties has become more selective. It is extended to where the heart of the handlers are and against those not within the favour radar. We cannot separate two people who are fighting by restraining the hand of one of the feuding parties for the other as is being done in the case of herders-farmers’ war. How can we be championing unity where those who kill humans are allowed to determine the terms and conditions for peace? Does that not amount to rewarding a bad behaviour? Would the situation have been the same if the son or daughter of our elites have been killed by herdsmen? Where is justice and rule of law when colonies or ranches are being championed for killers and burial sites for farming communities? The poor have reasons to be impatient because they know that the rich are securitised while the masses remain “soft targets” for death. Education has been more decimated under Buhari with the downward trend in allocation to funding education in the national budget. Across the board, public primary and secondary schools and tertiary institutions are being dealt a big blow by the ruling elite and starved. Teachers and lecturers are allowed to go on strike so people are conscripted to patronise schools established by powerful elites and their cronies. But what stakes do they have to make our education great and world class when their children and wards study abroad. They want the masses to remain subservient knowing that a mind that knows is one that truly free. Unfortunately, their foreign-trained kids will not enjoy their lives as the kids left uncared for will become a menace to the society. Relatedly, the Joint Admissions and Matriculation Board jubilates by remitting billions extracted from over one million applicants who jostle for less than 500,000 available spaces! Yet, Buhari felt the masses are “impatient” in asking when will it be their turn to enjoy increasing access to qualitative education in Nigeria? The economy is quantitatively improving, not qualitatively impacting on the masses. I laugh each time the President and his deputy say they ‘feel our pains’. How can they? Do they queue for fuel? Do they go to the market to buy tomatoes except as showbiz? Do they know that people’s livelihoods have been threatened since last year due to their inability to fix the oil and gas sector? Do they know that power is central to the economy? How much of efficient power has the President produced when the State House still budgets for diesel? Democratic questioning is essential to call to question leadership’s dereliction of constitutional duties. Those who do not want to entertain and/or accommodate complaints must learn to be fair to all, perform their constitutionally assigned roles or never offer themselves to contest the 2019 elections.